Our first original series - 'The DAS: The DOTS' features mix and match polka dots and plain colored cotton canvas.All are over-shouldered, environmental-friendly tote bag for everyday use. Limited number of each bag is made to ensure uniqueness. This bag is made with maroon polka dots cotton canvas with two lines of creamy laces on the exterior and lined with white cotton canvas in the interior. 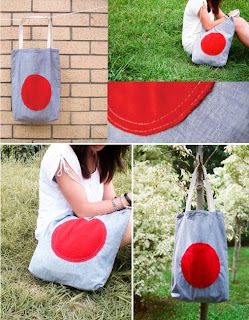 This bag is made with sky blue cotton canvas on the exterior with a big red velvet dot in the middle and lined with white cotton canvas in the interior. 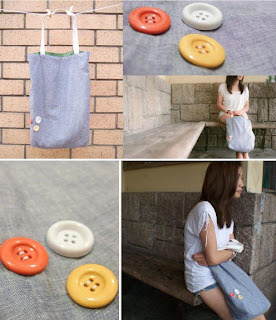 This bag is made with sky blue cotton canvas on the exterior with three little pastel buttons on the side and lined with white cotton canvas in the interior. 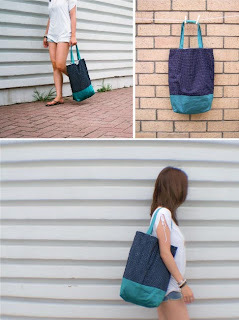 This bag is made with navy blue polka dots cotton canvas on the top part of the bag and dark turquoise cotton in the bottom part on the exterior. The interior is lined with white cotton canvas. 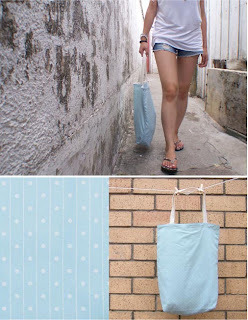 This bag is made with light blue cotton canvas which has dots and stripes pattern on the exterior and lined with white cotton canvas in the interior. 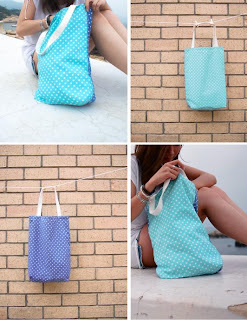 This bag is made with double-sided polka dots cotton canvas in light turquoise and royal blue just as two bags in the price of one.